Lucknow : BSP supremo Mayawati on Sunday cautioned Muslims and asked them not to vote for Samajwadi Party or Congress. Asking for their support to stop BJP in UP, she alleged that minorities were facing bias under Modi government. 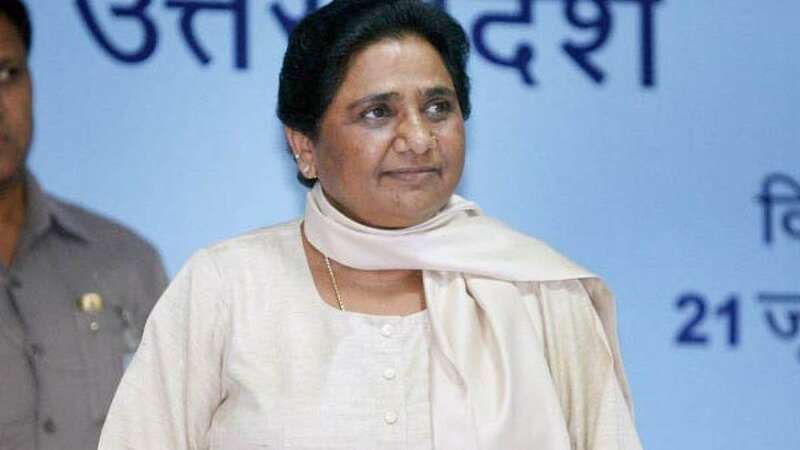 Muslims should not waste their vote as Samajwadi Party is facing fight within their leaders and Congress comes with a weak voter base in Uttar Pradesh, Ms. Mayawati said while addressing a rally here on the occasion of party founder Kanshi Ram’s 10th death anniversary. “Communal forces are becoming stronger and Muslims are being targeted in the name of love jihad, ‘gau raksha’ (cow protection) and religious conversion,” the BSP supremo alleged launching a scathing attack on the Modi government. Mayawati also claimed that her party will go alone for elections in three states – Uttar Pradesh, Uttarakhand and Punjab - scheduled for next year. She ripped off Akhilesh Yadav’s Samajwadi Party saying “rampant crime and anarchy” incidents such as Muzaffarnagar, Dadri, Mathura and Bulandshahr have occurred and promised to restore rule of law in Uttar Pradesh. She also quoted recent rift between Akhilesh Yadav with his father Mulayam Singh Yadav and uncle Shivpal Singh Yadav. “There is a tussle for supremacy going on in the SP between Mulayam Singh Yadav’s son Akhilesh Yadav and brother Shivpal Singh Yadav and its result will be that the Yadav vote will split as each will try to ensure the defeat of candidates owing allegiance to the other,” Ms. Mayawati said. After facing criticism for spending hundreds of crores of rupees in setting up memorials of herself, Kanshi Ram and B R Ambedkar, Mayawati claimed that her party will not construct any more memorials. # BSP supremo Mayawati on Sunday attacked Samajwadi Party and Congress in a mega rally. # She asked Muslim voters to avoid casting their vote for SP, Congress. # BSP to avoid making memorials in Uttar Pradesh. # SP dealing with rift between Akhilesh Yadav with his father Mulayam Singh Yadav and uncle Shivpal Singh Yadav. # Congress has no voter base in Uttar Pradesh.